Responsible for all sales activities in the “Triangle” area of North Carolina (i.e., Raleigh-Durham-Chapel Hill) including the daily account sales, promotions/tastings, festivals and marketing interactions. Sell Wise Man beers to on premise retail and off premise accounts as assigned by building strong rapport with retailers and putting down deep roots in specified territory. Be the primary point of contact, in the specified territory, for customers. Develop specific account action plans to maximize long term retail account sales and document your success in Wise Man Brewing’s CRM program. Work in collaboration with Director of Sales & Distribution, as well as Brewery Staff, to achieve team targets, introduce new marketing initiatives and execute programming. 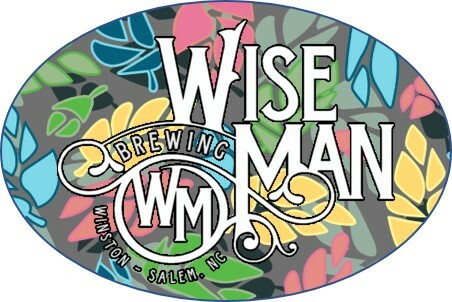 Grow Wise Man Brewing’s brand awareness in the territory by executing marketing efforts including on-site tastings, tap-takeovers, and other brand-enhancing initiatives. Maintain exceptional customer relations and position Wise Man as a market leader in the territory though account training (inclusive of server training), education, providing the highest-quality service, and sharing exceptional craft beer knowledge. Conduct quality audits in the territory and communicate with the Brewery Staff to ensure product quality. Work with Taproom manager to advertise account related events via Facebook and other social-media/web channels. Ensure that accounts have proper beer supply, tap handles, and related support collateral. Deliver (or enlist help for delivering) beer, invoices, tap handles, and related support collateral in one-off scenarios as needed. Maintain exceptional customer relations and position Wise Man Brewing’s as the go to resource by being a consultant though conducting account training (inclusive of server training), education and by providing the highest-quality service and craft beer knowledge. Conduct quality audits in assigned markets and communicate with the brewery to ensure product quality. Collect and maintain metrics, relevant account data. Listen to customer concerns and complaints regarding spoilage, breakage, and/or shipments of incorrect product and report to Director of Sales & Distribution. Always represent the brewery in a positive manner. Operate with the highest integrity at all times, in compliance with all ABC, traffic, and other applicable laws, maintaining a professional demeanor with Wise Man’s customers and other stakeholders. Be a champion for our customers and for Wise Man Brewing. Other tasks as assigned by the Director of Sales & Distribution. Strong craft beer knowledge and experience in the local marketplace. Cicerone Certified Beer Server certificate or ability to obtain within 3 months. Strong organizational skills and the ability to work alone. Strong knowledge of Wise Man Brewing, its history, and its product offerings. General knowledge of the brewing process. Staying current on current Craft Beer trends in North Carolina and beyond. Computer competence in Word, Excel, PowerPoint, Google Drive, and E-mail. Willingness and ability to complete administrative tasks and requirements on time, regularly including weekly activity reports, expense reports, monthly recaps, monthly calendar, budget management, and daily email responses. Be familiar and fully comply with ABC laws and other rules applicable to alcohol sales, promotions, delivery, etc. ; maintain compliance with ABC license. Must have a clean driving record and reliable vehicle. Fully comply with Wise Man’s rules and policies, including the Wise Man Brewing Employee Handbook. Capable of lifting and moving safely up to 60lbs., with assistance or alone.